Meet Star City's newest district attorney, Adrian Chase, crusader of justice by day, vengeful vigilante by night. Josh Segarra (Chicago P.D.) 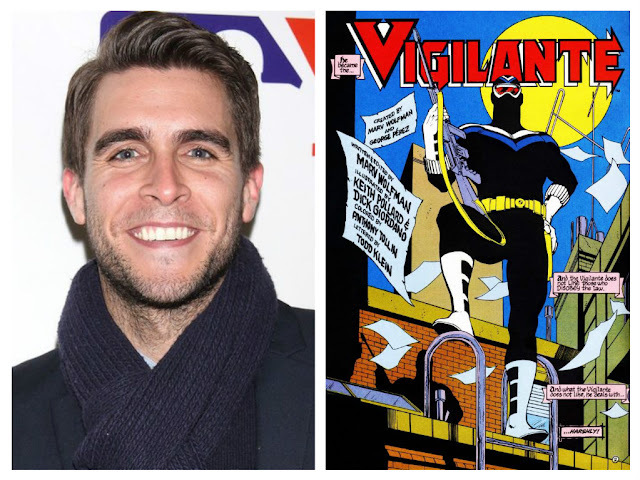 has just been cast as a regular to play the antihero Vigilante and ally to Mayor Oliver Queen (Stephen Amell) for the show's upcoming fifth season. As a young comic book collector in the 80's, 'Vigilante' created by industry legends Marv Wolfman and George Perez, was one of the first comics I collected. A mixture of Batman and Punisher, 'Vigilante' was the story of a New York district attorney who takes justice into his own hands after his family is killed by mobsters. He begins a downward spiral from non-lethal savior to cold-blooded assassin as the book went on. Battling crime takes a toll on Chase and it leads to a mental breakdown.